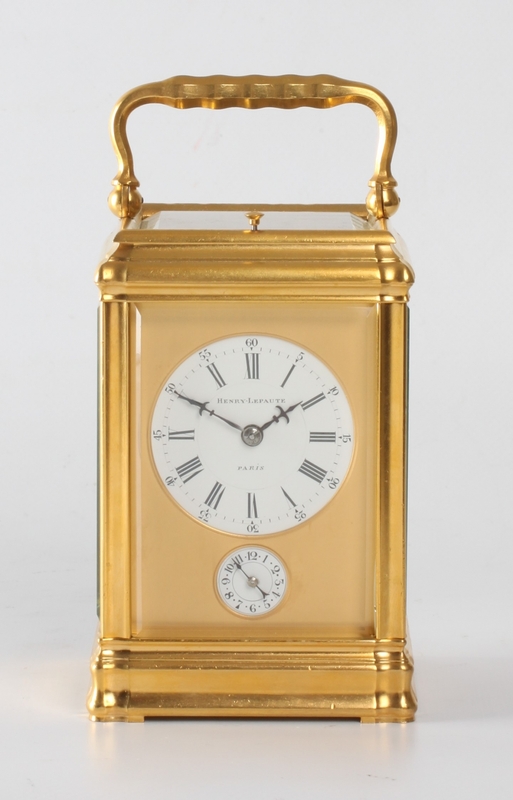 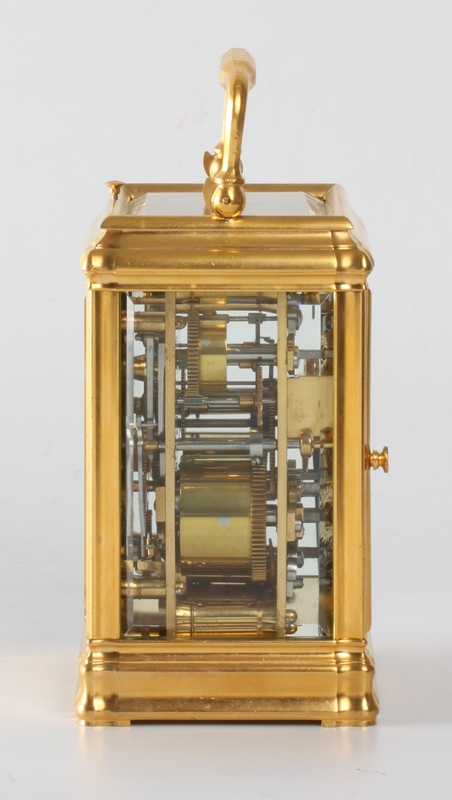 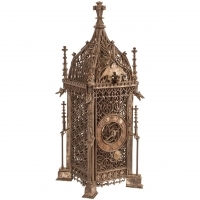 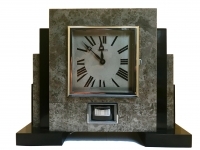 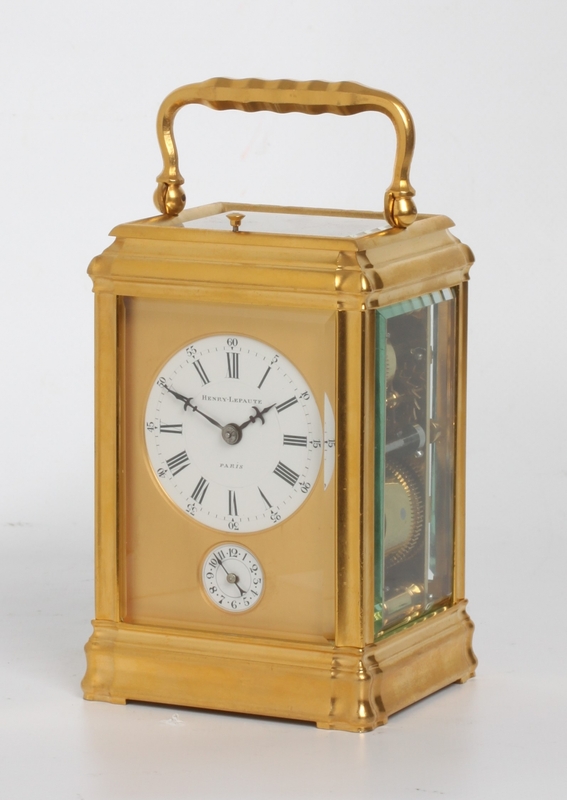 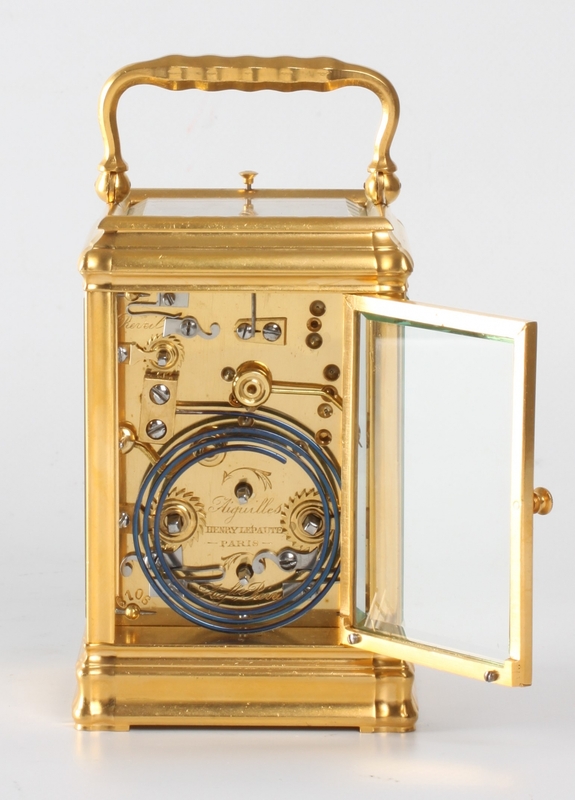 A small French gilt brass Gorge case carriage clock with repeat by Henry Lepaute, circa 1870. 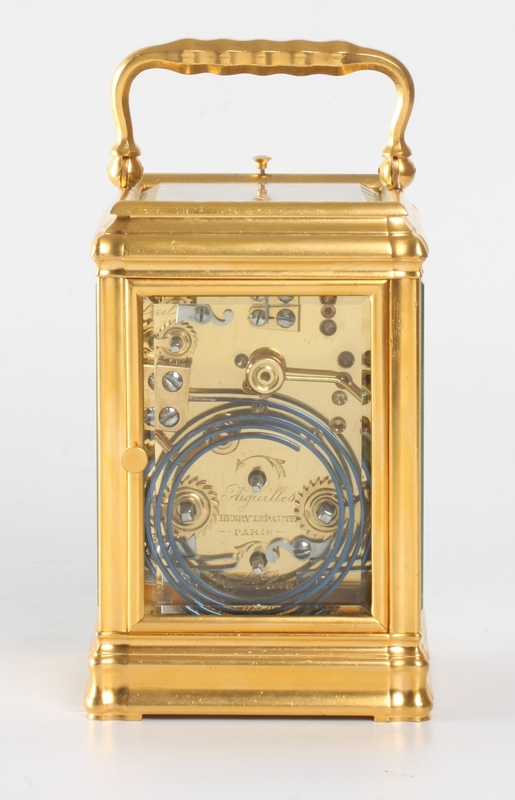 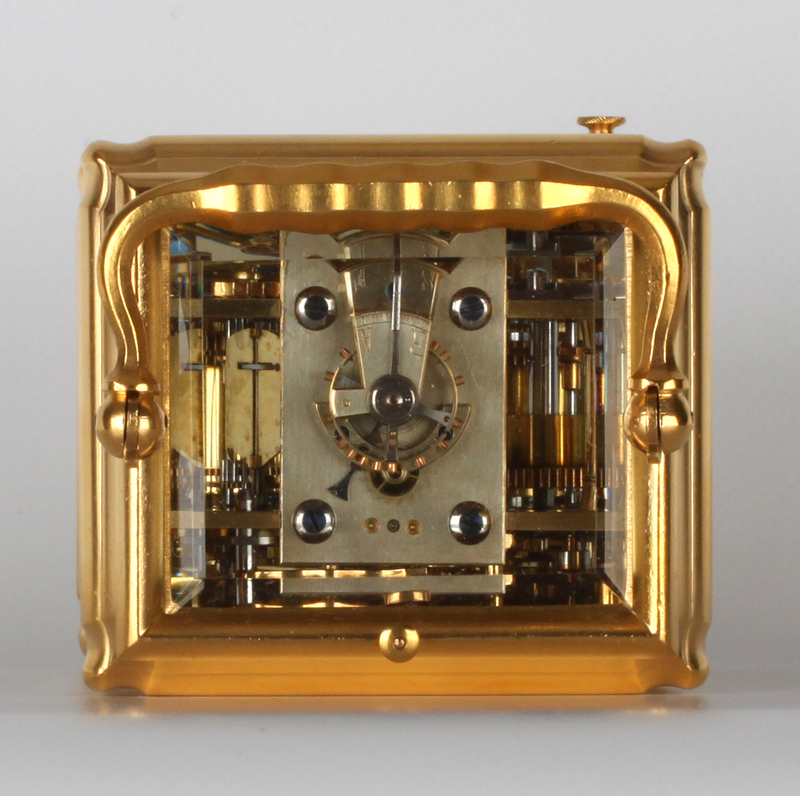 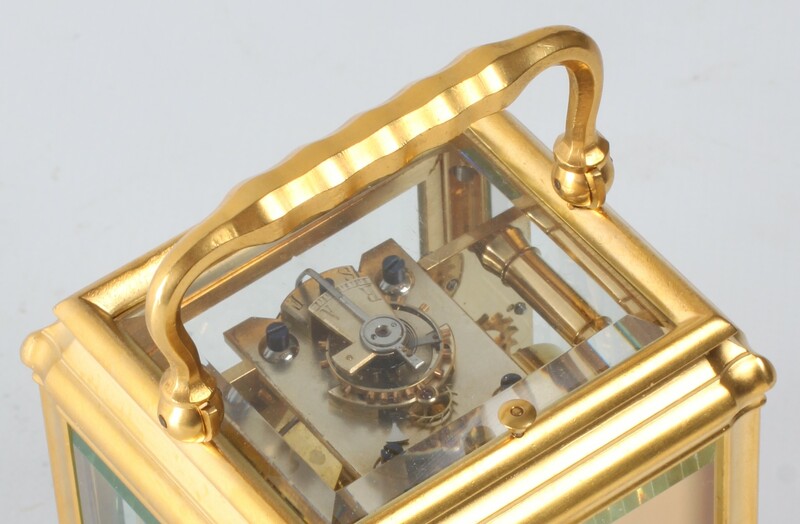 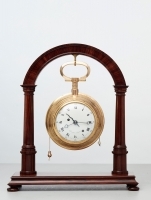 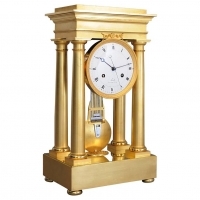 8-day spring-driven movement with alalrm and repat on demand, fine gilt brass Gorge case. 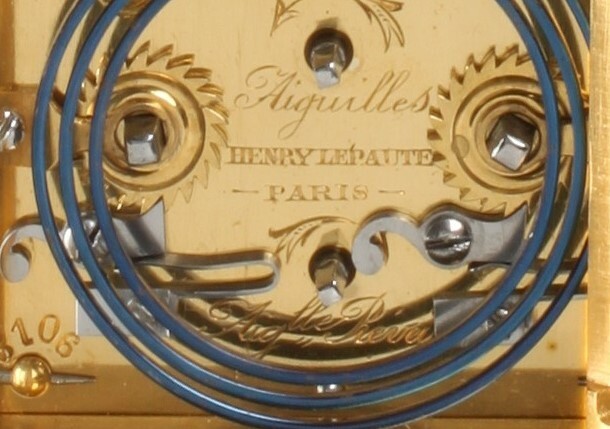 4.5-cm enamel dial with Roman numerals signed Henry Lepaute Paris in a gilt mask with alarm subsidiary below, lovely blued steel hands with fleur-de-lys tips, similarly signed and numbererd 6101 spring-driven movement with platform ratchet tooth anchor escapement of 8-day duration, rack half hour striking on a gong, repeat on demand, alarm on a gong, fine gilt brass gorge case with beveled glass panels.